According to The Independent Journal’s congressional reporter Joe Perticone, the man holding the camera in the video below is a journalist. 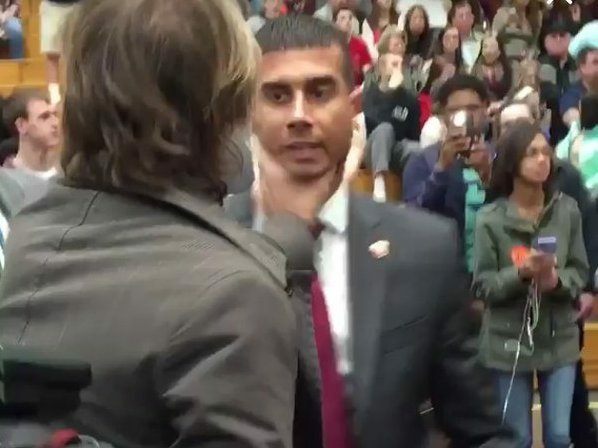 Perticone writes, “Secret Service agent choke slams reporter. ” The video doesn’t show that, but it does show this reporter kicking the agent from an apparent defensive position.